This is the perfect guide for those with low vision. Each Magnibar has a yellow tracker line, when it is placed on text, it helps prevent readers from losing their place. Plus, since it is a magnifying bar, text is 1.5x larger, making text much easier to see. This special combo pack includes two EZ Magnibars with yellow tracker lines, one at 6 long and one at 9 long. 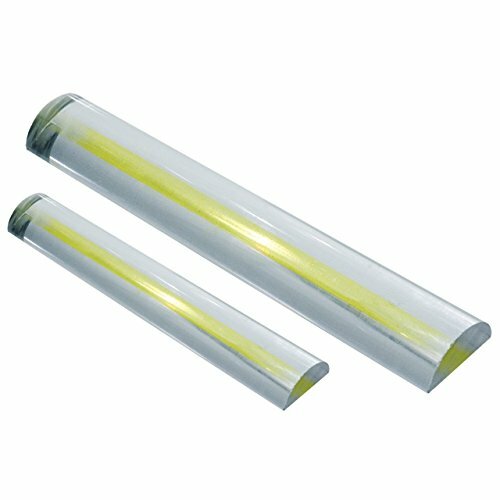 Each Magnibar is 1' wide with a yellow tracker line that is approximately 1/4 wide. Highlighted line is tall enough to typically hold one line of standard text. Just slide the bar up, down, left or right to continue reading. Made of clear, sturdy lucite.